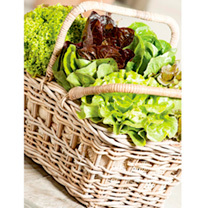 The cheapest, freshest, tastiest way to summer salads in as little as 4 weeks! 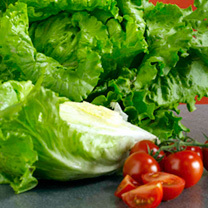 No salad should not be without lettuce! 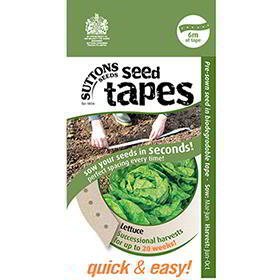 If you want lettuces’ over the summer months then your lettuce seeds should be planted at fortnightly intervals between March and July; this will ensure that you have a continuous supply over summer. 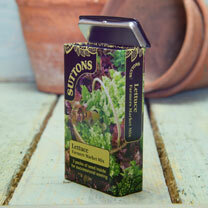 If you want to have lettuces’ for the spring then you need to sow a lettuce seed variety which can stand through winter to head the following spring. 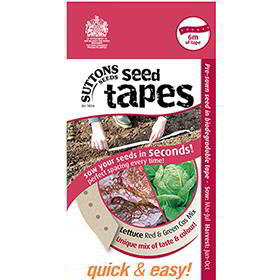 These seeds need to be sown in September. 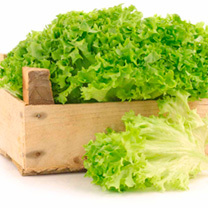 In general Lettuce seeds take between 10 and 14 weeks to reach maturity. 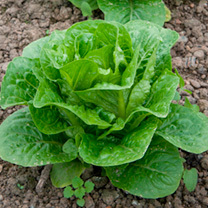 How can I prevent aphids attacking the roots of my lettuce plants? 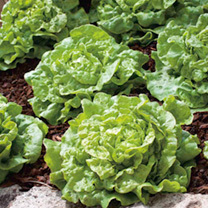 Lettuce root aphid attack the plants roots during mid to late summer. The creamy-yellow aphids feed on the roots. 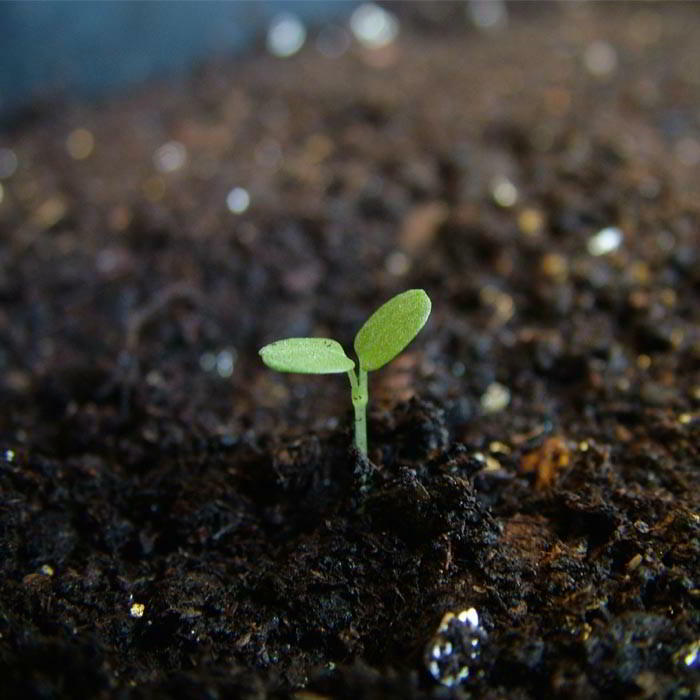 The plants grow slowly and may wilt. 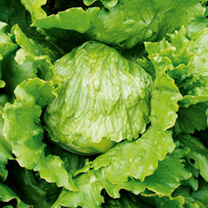 Lettuce sown or planted between mid-April and the end of June are at risk of attack. There are no chemicals available to control this common pest. 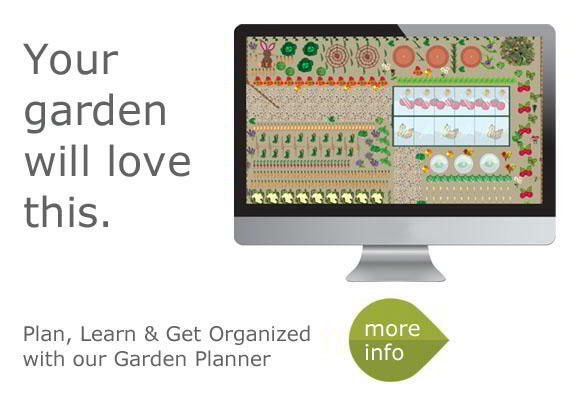 Keep the plants well watered and they may survive long enough to heart up. 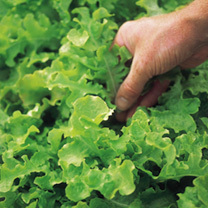 There are no chemicals available for the control of root aphids. 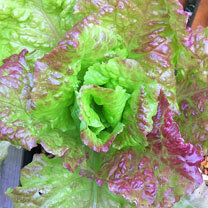 Grow lettuce on a different site each year. Covering the crop with fine mesh such as Enviromesh from June through to the end of August will prevent attacks provided the edges are buried. 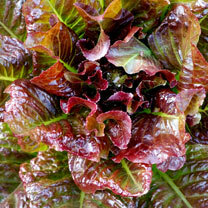 The Lettuce Little Gem is resistant to root aphid. 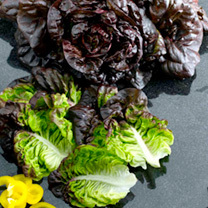 How do I stop yellow patches appearing on the leaves of my lettuce plants? 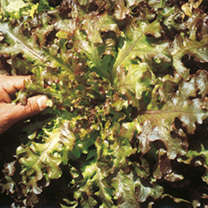 Lettuce downy mildew is a common disease which attacks seedlings in spring and late in the season on mature plants. 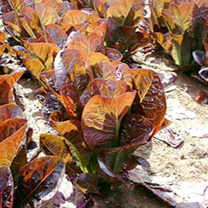 Attacks can occur on greenhouse crops or plants growing outdoors. 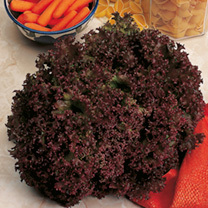 This disease is more likely to be seen in wet seasons. 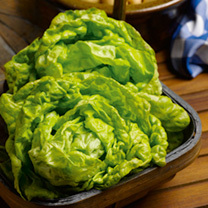 Pale green or yellowish areas develop on the upper leaf surface with corresponding whitish fluffy mould on the underside which sometimes has a purple tinge. The patches turn brown as the leaf quickly dies. The plants are stunted and the leaves die. 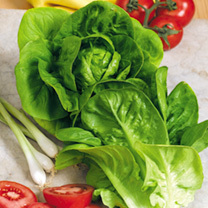 Remove the affected leaves as soon as the symptoms are first seen or destroy the whole plant if the attack is severe. 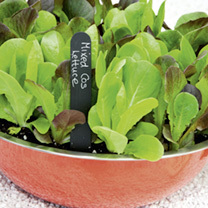 Keep water off the leaves of plants grown in the greenhouse and avoid watering late in the day, ventilating whenever possible to ensure good air movement around the plants. 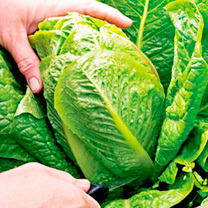 Outdoors remove affected plant material and allow as long as possible between lettuce crops.